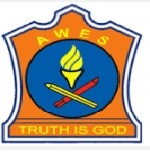 AWES PGT recruitment 2016-17 notification apply for 8000 vacancies : Army Welfare education society (AWES) welcomes application for the position of 8000 PGT / TGT / PRT vacancies through CSB screening examination 2016 for Teachers in Army Public schools. Candidates who completed their Master degree, B.Ed., degree, graduate is a good opportunity.The individuals who are the occupation seekers searching for govt employments in India this is the best chance to apply. Competitors read the official notification then read all the guidelines and miners precisely then apply before the last date online application got. All the interested and eligible candidates can apply online before 13th September 2016. The age of the candidate is 40 years for fresh applicants (Except for NCR school TGT / PRT should be 29 years and PGT 36 years). The age of the applicant should be as on 1st April 2016.
should have master degree in relevant subject and B.Ed. or degree in relevant subject and B.Ed. or graduate and B.Ed. The selection of the candidates will be on the basis of three steps / screening examination conducted online by an agency / interview and evaluation of teaching skills and computer proficiency. Candidates are required to pay application fee Rs 600/- through debit card / credit card / net banking / bank Challan. may apply online through official website of Army Welfare education society (AWES) http://awes.csb.in from 17th August 2016 to 13th September 2016. Last date for the submission of online application is 13th September 2016. Availability of admit card online is 15th November 2016. Date of online screening examination is 26th and 27th November 2016.